As I was browsing the home page when I opened up my Cook'n software to get ideas for fun, new dishes to try, I saw something that made me stop dead in my tracks and STARE at the most mouth-watering picture I have ever seen! Now, one of my favorite foods in the whole entire world is waffles. I have previously shared my favorite new thing ever, which is cinnamon roll waffles…absolutely EPIC! 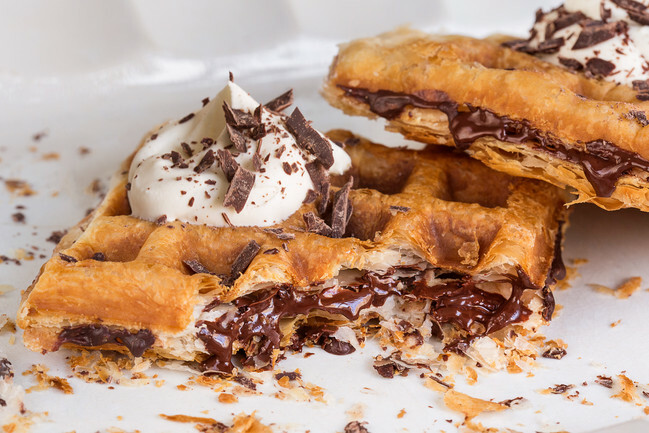 Well, I think we might have a new tie for the waffle king recipe of all time! Look at this picture and tell me you don't want it like right NOW! Now let me ask you this: how do you make gourmet stuffed waffles that are EASIER and faster to make than traditional buttermilk waffles? Why puff pastry dough of course! There are literally just three (and a half) steps to making these epically easy and delicious puffles. Take your puff pastry out of the freezer and defrost it according to the package instructions. (See why I considered this a half step? :) It's taking you longer to read this step than to actually do it). Do this and you're ready to make enough puffles to serve four. 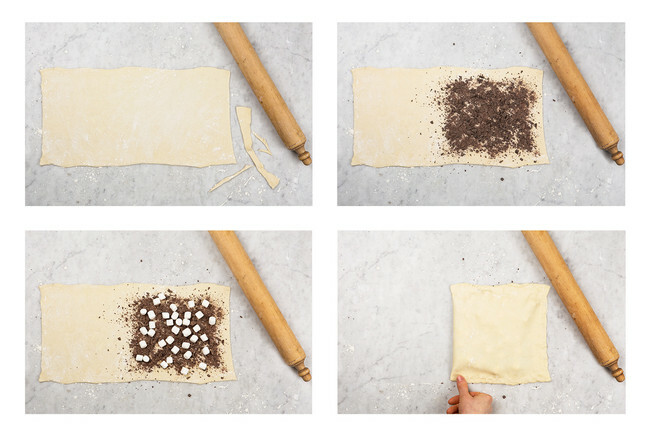 Once your pastry is defrosted, cut it in half. Measure the cooking surface of your waffle maker then grab a rolling pin. You need each piece of pastry rolled into a rectangle the same width but double the length of your waffle maker. Now you are ready to begin the most fun step: puffle stuffing. · Chocolate and marshmallows "s'mores"
Be a little bit careful when you have jams or other liquidy ingredients; when reading the comments, people would say those have a tendency to spill out when they are overstuffed. Go on the conservative side with your jam-like ingredients. Once your puffles are stuffed, place them in your waffle maker one at a time. 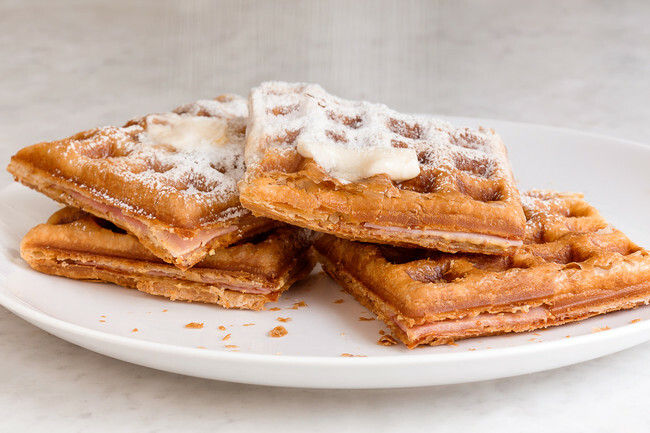 If you have a Belgian waffle maker, that is your best option since it allows a little more room for the pastry to puff and creates deeper wells in the surface for loads of butter….and powdered sugar…and syrup. Whatever kind of waffle maker you use, your puffle will be perfectly flaky and crispy on the outside and fillings will be perfectly melty and delicious in about 5 minutes. Now go crazy with whatever toppings your heart so desires. Now ENJOY and thank me in the comments below :) Just kidding!